Bok choy is one of my all time favourite greens. 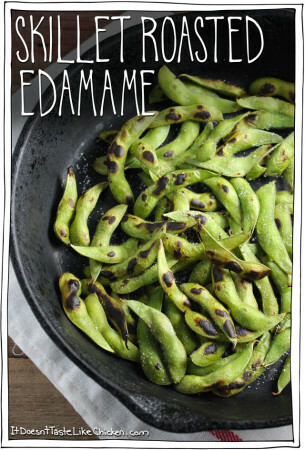 I often cook a big pile with just a little garlic, ginger, and a splash of soy sauce. So simple, so scrumptious. But when I was chopping some bok choy up the other day, I started munching on it raw, and holy smokes, it was super delicious raw too! Especially the bottom portion of the bok choy which is crisp, juicy, and sweet. Sesame Bok Choy & Carrot salad here I come! So we’ve got the sweet and crispy bok choy, now add carrot ribbons. What is this madness you ask? They look all sorts of fancy but are just made by using a potato peeler on a carrot (clever, I know). 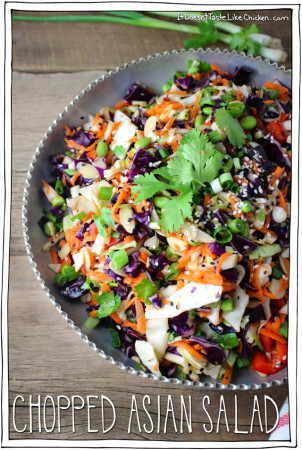 Then dress that veggie goodness with a simple Asian-inspired dressing. So tasty! 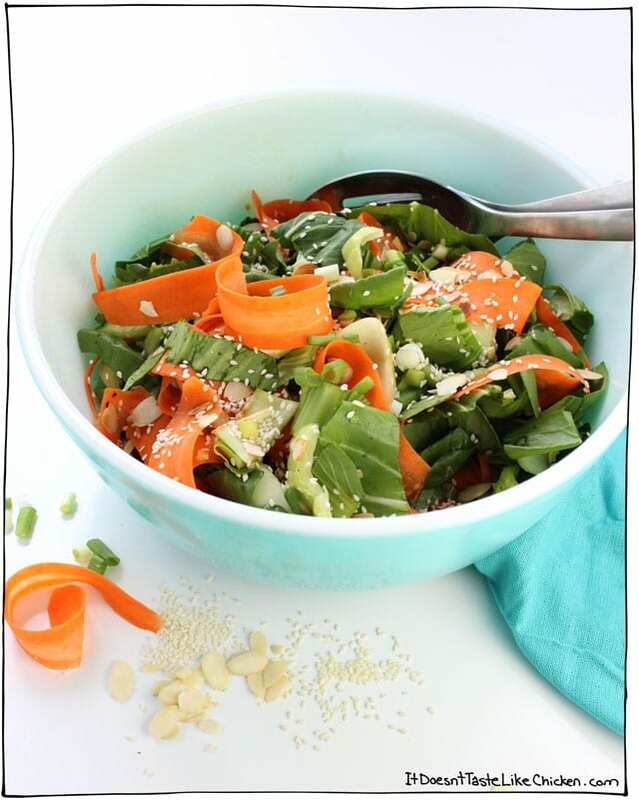 Fun fact: This salad gets better if it sits for a bit which makes it a great salad for potlucks because it doesn’t get soggy thanks to sturdy bok choy and carrots. So I let mine hang out in the dressing for 20 to 30 minutes, giving it a toss every now and then. I used this time to heat up some veggie dumplings, and prepare the rest of my meal. 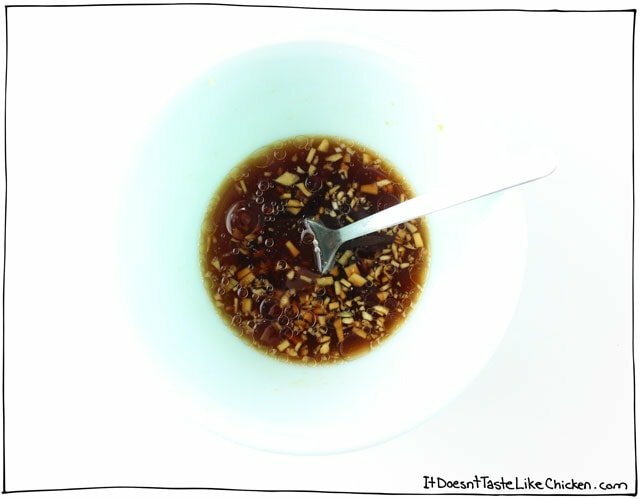 Then when ready to serve, just sprinkle on all of those toppings: green onions, toasted almond slices, and sesame seeds. Boom! Healthy, addictive, salad. 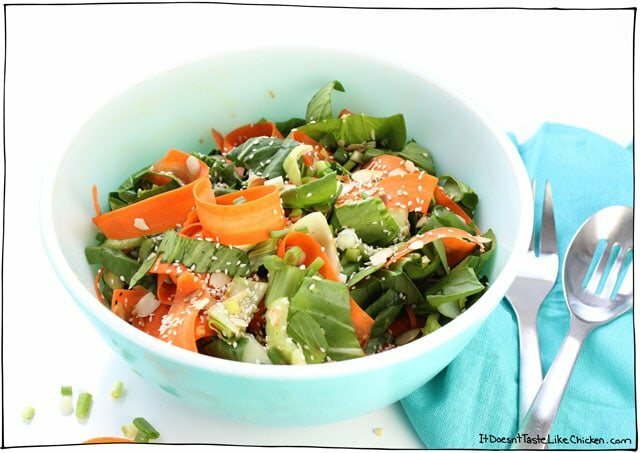 To make Sesame Bok Choy & Carrot Salad: Add all of the dressing ingredients to a small bowl and mix to combine. 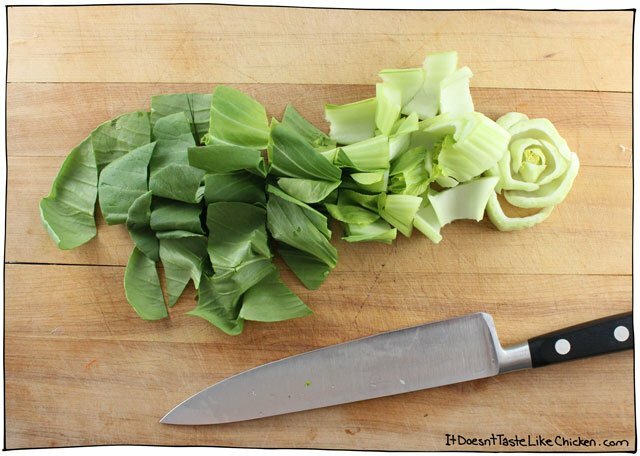 Cut off the very base of the bok choy and discard it. Then just slice it up. On second thought I should have sliced my bok choy a little smaller because some of these pieces were too big, so don’t do like Sam did here. Slice it a bit smaller. 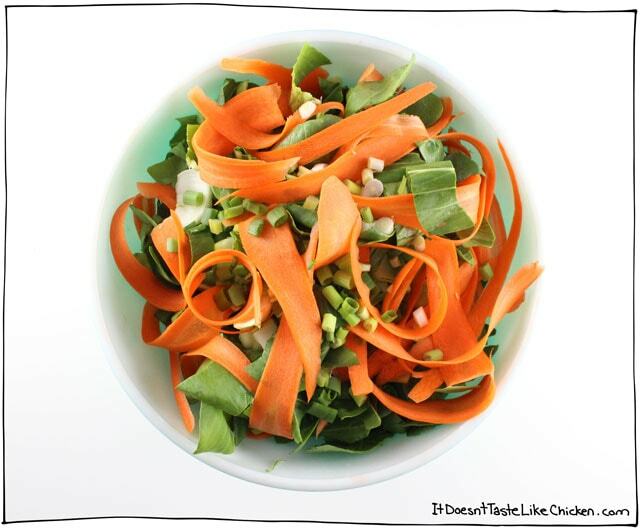 Add the bok choy to a large bowl with the carrot ribbons. Pretty. Pour over the dressing and toss well to combine. You can serve it right away, but the flavours get even better if you let it sit for 20 to 30 minutes, tossing every now and then. 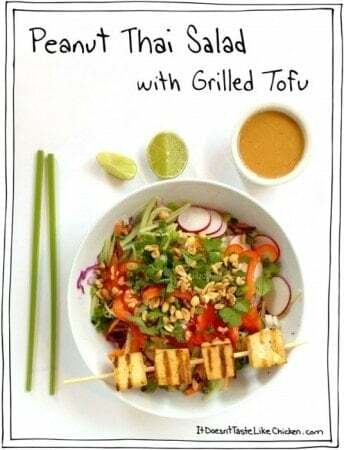 When ready to serve, garnish with the toasted almond slices, green onions, and sesame seeds. I served mine alongside some veggie dumplings and vegan black bean buns. Omnomnom. 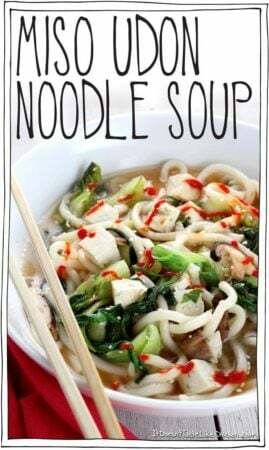 This was soooooo easy and soooooo tasty! I like that it’s hardy enough to handle being “dressed” a bit in advance. A good salad for a family BBQ! 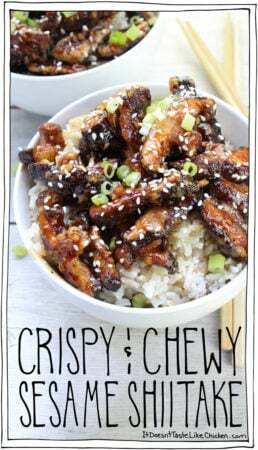 I served it up with your Crispy & Chewy Sesame Shiitake (I can devour that one all by myself!). Thanks Sam (have I ever thanked you?). Hahaha! 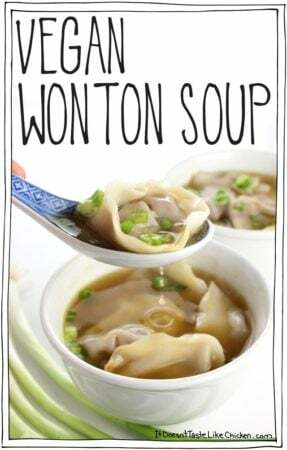 I love dumplings as well! Oh, maybe I should post a spiralizer recipe or two ? Also adding that I made this salad and added a little crushed cayenne pepper to the dressing as I have a thing for heat in the cold. 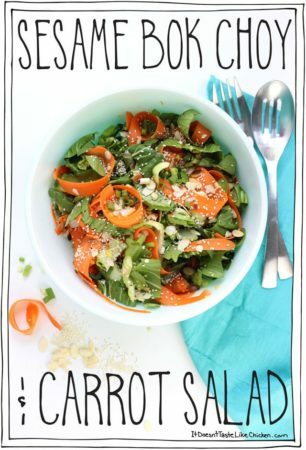 Love this salad, full stop! Well now this sounds delicious! Love me some bok choy, but I’ve never tried it raw. 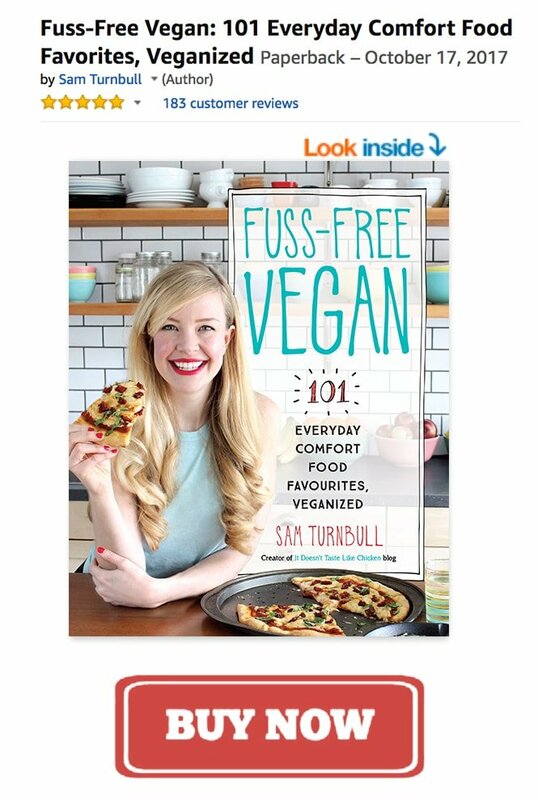 Are the veggie dumplings and vegan black bean buns something you have recipes for and will share with your dear readers, or do you buy them pre-made?